One of the most effective ways you can save energy within your home is through installing energy efficient windows and doors. Choosing energy rated windows to replace single glazed or older double glazed units saves money from day one. In fact, it could reduce your heating costs by up to 20% - perhaps worth up to £321 a year. Reduce condensation and noise. Lower heat loss at window edges makes our glass 3-4°C warmer - cutting condensation by up to 80%. Using high performance gaskets, our double glazing reduces noise pollution, too. Here at Harpenden our double glazed windows are all 'B' Rated for excellent energy efficiency as standard and we offer highly affordable upgrades to 'A' Rated. Our energy efficient window system brings together market leading components to deliver exceptional performance. This means quality performing glass and the best performing ‘warm edge’ spacer technology is used in the sealed unit. 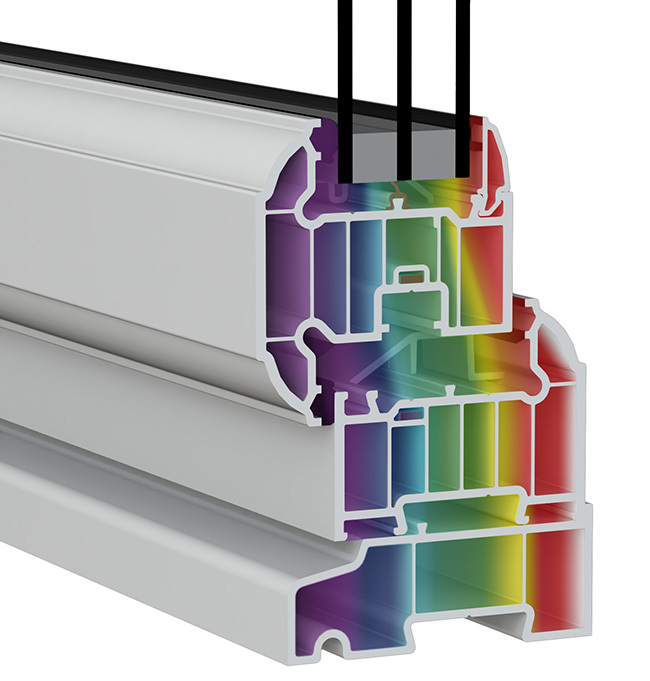 Our window profiles include Q-Lon weather seals, multi chamber construction, high security locking and stainless steel hinges.